Hello, lovely Ucreate readers! 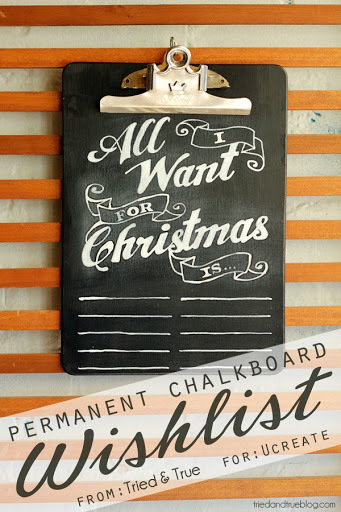 I’m Vanessa Brady from Tried & True and I’m here to show you how to make your own Permanent Chalkboard Wishlist. Kids (and adults!) will have fun filling it in year after year and when the holiday season is over, all you have to do is wipe it clean and store it for next year. 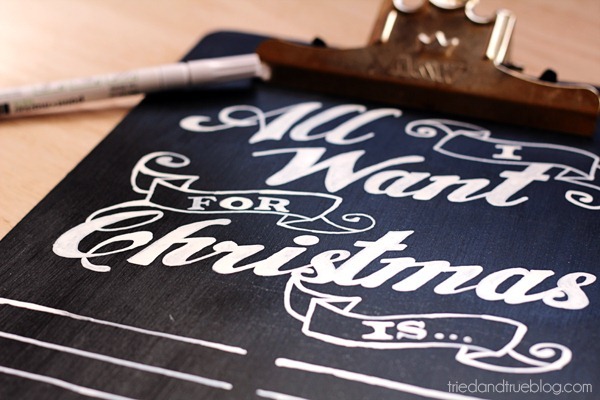 I’m planning on taking yearly pictures with my kiddos and their wishlists…if they stay still long enough. 😀 Hope you enjoy the tutorial! 1. 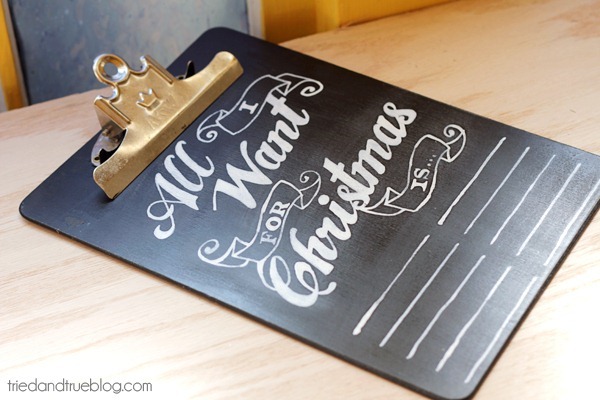 Apply a couple coats of chalkboard paint to the clipboard, waiting recommended time between coats. Allow to dry and cure completely. 3. Color in transferred image with white paint pen. I gotta tell you, there’s a bit of a learning curve with paint pens. Too much paint and it’ll be hard to sand away. Not enough and it looks streaky. Just go slow and know that any mistakes you make will just add to the hand drawn look of it. 4. 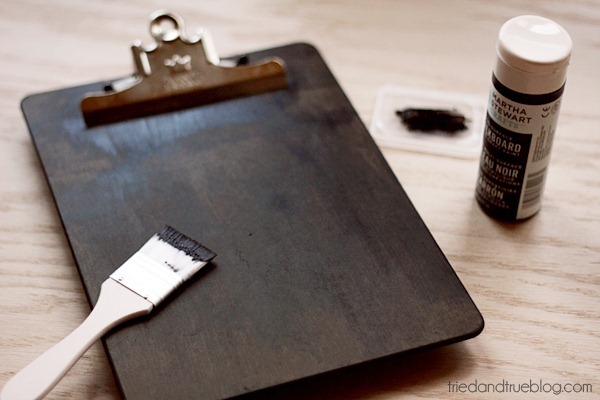 Once the paint is completely dry, take your fine sandpaper and gently go over image. Starting to look like chalk, huh?! 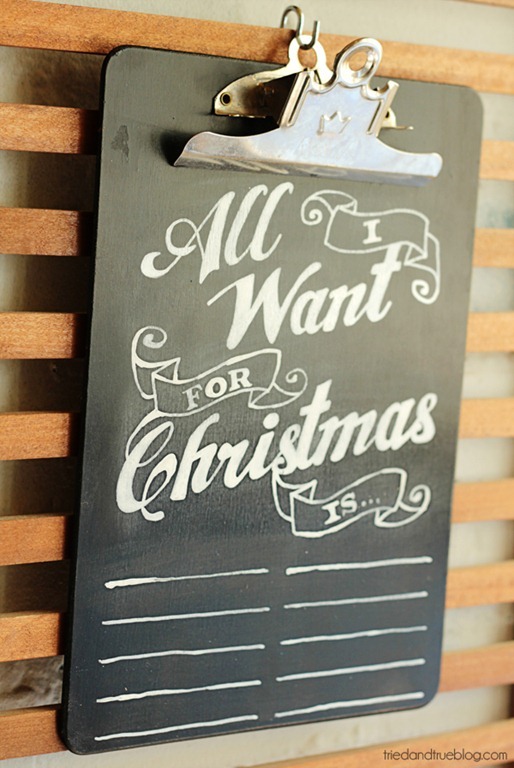 There you go…all you need to do now is fill it in, hang it up and wait for the gifts to come pouring in! If you enjoyed this project, please consider stopping by my blog, Tried & True, to check out many other original tutorials! Also connect with T&T through Facebook, Twitter or Pinterest. LOOOOOVE this! Awesome job Vanessa! Wow! That is so cute! Great project! This is really cute and looks super easy to do. Thanks for the idea. 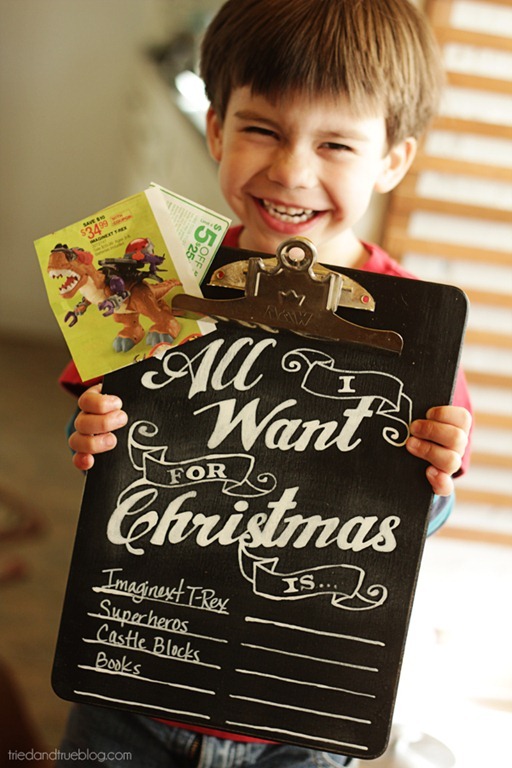 Love this cute idea! Unfortunately, I can’t access the download. Thanks so much! I am all about gifts pouring in :). Such a cute idea! Def pinning! I too am having issues with access to the printable. Can you also tell me what kind of transfer paper you used, or really how you got the white outline since printers don’t print white? I can’t access the printable…any suggestions? I would love to be able to download this as well. Keep getting an “enter google email” info. Is there just a separate download for the printable? This is adorable… I mean A D O R A B L E ! Love it! So cute but can’t download the printable. Sad Face! Jo Ann, I used transfer paper from Martha Stewart’s line. I totally should have clarified that step, sorry! 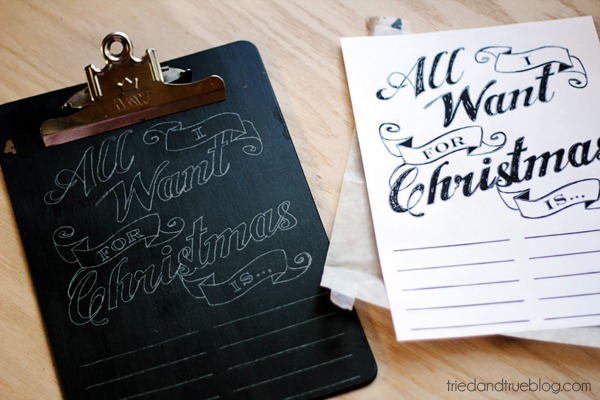 All you’re going to do is lay the transfer paper between the chalkboard and free printable and then outline the letters on the paper with a pen or pencil. The lines you drawn on your paper will transfer to the chalkboard. Hope this helps! This is so cute! I must try this. 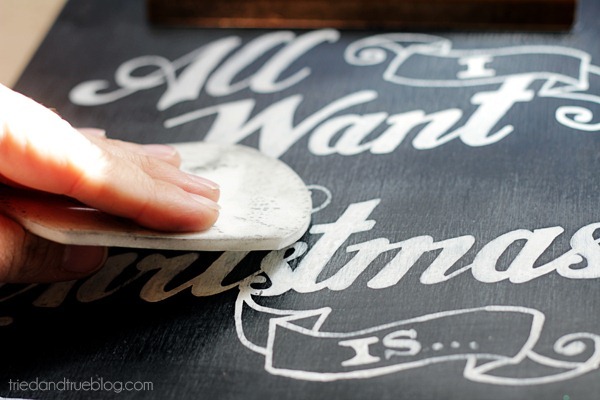 I love doing projects using chalkboard paint and this looks like it would be lots of fun to try. Thanks! This is adorable! I can’t wait to try this … what kind of paint pen did you use? Thanks so much! This is really adorable! I love the fonts and swishes for the lines. TFS! 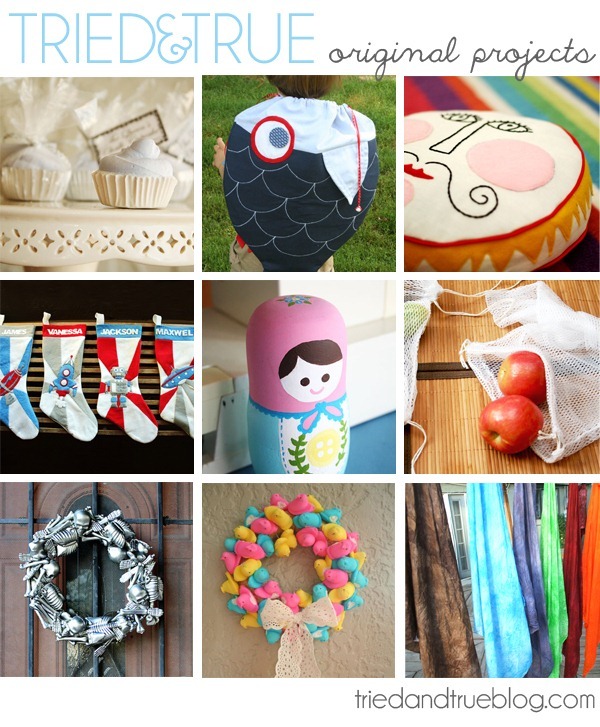 I bought the supplies for this project this week, and I’m making them today with my boys! SOOOO CUTE! Thanks for sharing such a unique craft! This is super cute! I’ve already started painting clipboards. I know this is an old post, is the template by chance still available? Is this permanent once done? Oh how adorable is this!! My kids will love making this!